Here’s a question: If you’re dissatisfied with the political process but aren’t involved, aren’t you rewarding the behavior and decisions of those who are? 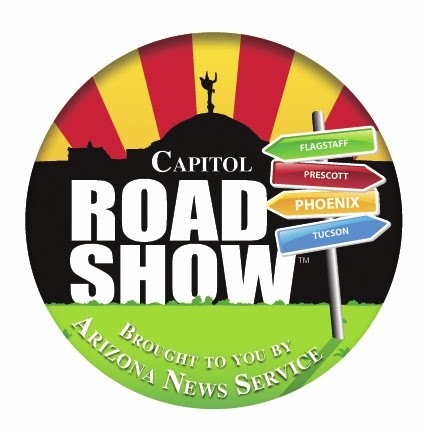 The Capitol Road Show will be here at the London Bridge Resort, 1477 Queens Bay on Friday, March 28 from 8:30 a.m. to noon to discuss how to get involved in Arizona’s political process. Developed by the Arizona News Service, its team and Capitol leaders hope to engage and educate Arizonans in the political process. The presenting sponsor, in conjunction with the Arizona Capitol Times, is CenturyLink. Supporting sponsors are Frontier Communications, Lake Havasu Hospitality Association, London Bridge Resort, Partnership for Economic Development, Wachtel Biehn & Malm, Lake Havasu Area Chamber of Commerce and Arizona Bus Sales, Phoenix. Speakers include State Senator Kelli Ward, State Representative Sonny Borrelli, Mayor Mark Nexsen, lobbyist Brian Tassinari, Today’s News-Herald publisher Mike Quinn and Radio Central owner Steve Greeley. Representative Doris Goodale has also been invited. The Capitol Times is currently scheduling other speakers as well. The program is complimentary to the public, thanks to the sponsors and Arizona Capitol Times. Registration can be made via http://capitolroadshowlakehavasu.eventbrite.com or call 602.258.7026. Details and information are also available by calling the Chamber at 928-855-4115 or visit www.havasuchamber.com.